Songs are useful tools to learn English. They improve listening and reading comprehension. Students can also learn new vocabulary (meaning and pronunciation). 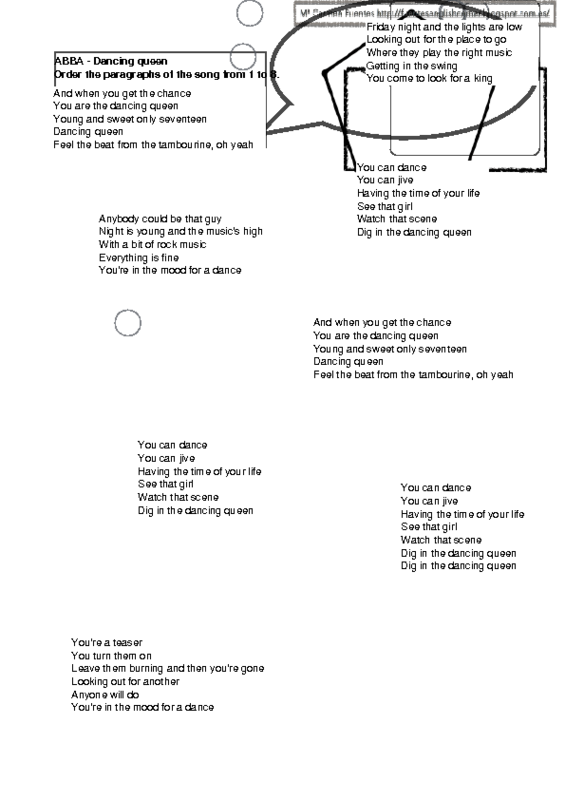 Students have to order the paragraphs of this beautiful and well-known song Dancing Queen by ABBA.